Charity Nduhura joined WCFJC as an Intern during her second year at Mbarara University of Science and Technology (MUST), where she attained a Bachelor of Business Administration (BBA) degree. Upon completing her BBA, she was accepted a full-time position. Charity is responsible for the planning, implementation, documentation and evaluation of all WCFJC field operations. These include but are not limited to the screening of potential Women in Business (WiB) participants, in-kind loan disbursement and payment collection, the identification of training needs and the design of tailored training interventions. Charity has also worked for the MUST/Healthy Child Uganda (HCU) partnership, where she trained over 300 rural women on Sanitation and environmental conservation. 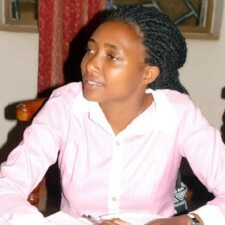 She is currently pursuing a Master of Business Administration at the Uganda Management Institute (UMI).